On Monday, Luga flow rapper, Victor Kamenyo, came out to announce that fast rising artist, Chozen Becky, who could take 2019 by storm is no longer under his Nick Management. The 'Nduulu' singer does not delve into details of what exactly happened, but from his explanations so far, it is pretty obvious money caused the split between them and he is so bitter. "We found her in the village after she had given birth this year, I have been compiling all the songs and paying for the studios where she's been working from, I had high hopes in her, but it's okay let her go." Becky has evolved into that big artist and we felt it was time for her to go because even at home, a father and mother would let their children away if they felt they were due to leave. 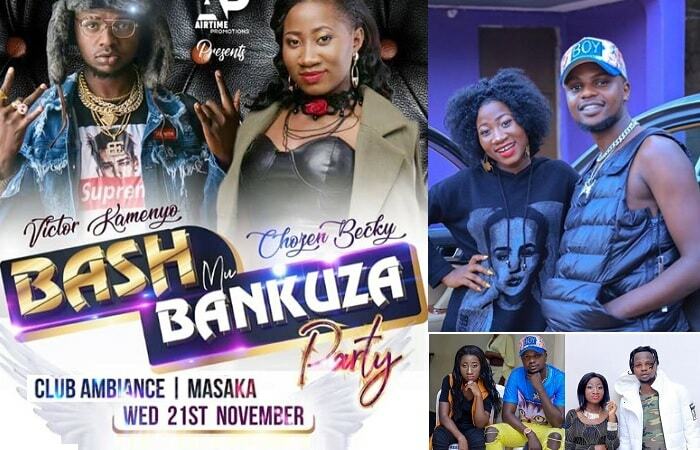 It is rare for an artist to hold a concert in the very first year of joining the music industry, Chozen Becky did with her Byabanji concert at Tavern Woods in Kabuusu, it was successful with bigwigs in the industry like David Lutalo and Chameleone performing. Chozen Becky's 'Bankuza' hit is now on everyone's lips and a must play at all introduction ceremonies because of its well-brought-up, polite and good manners meaning. "Bankuza was another song that I worked on and I told her it was going to be a hit and you've all seen that before your very own eyes." "She has had 13 shows to date and in all that, I pay for makeup, hire a driver, costumes, plus of course some money for her, it hurts me when I hear her telling people of how I wasn't paying her, I have put in a lot with hopes of getting my money back, but I will let go. ""It is very difficult for a new artist with one hit song to have sponsors when holding a concert, so I put in a lot of my money, but it is okay." Meanwhile, Chozen Becky is in talks with Sheebah Karungi's manager, Jeff Kiwa, after parting ways with Victor Kamenyo. "Positive thinking sees the invisible, feels the intangible, and can achieve the impossible, Kamenyo, you are my best friend, " Chozen Becky noted.